BOOM! Studios, under license by Hasbro, Inc. (NASDAQ: HAS), announced today that one of the biggest mysteries in Power Rangers history will be revealed as the GO GO POWER RANGERS series joins the epicNecessary Evil event in July 2019. New York Times Bestselling author Ryan Parrott is a writer in multiple mediums. A graduate of Chapman University, Parrott has written on television series NBC’s Revolutionand Hulu’s Chance. In comics, Ryan was a co-writer on DC’s Batman: Gates of Gotham, several of IDW’s Star Trek titles, including Starfleet Academy, Boldly Go and Manifest Destiny, as well as the NBC series finale Revolution: Endgame. 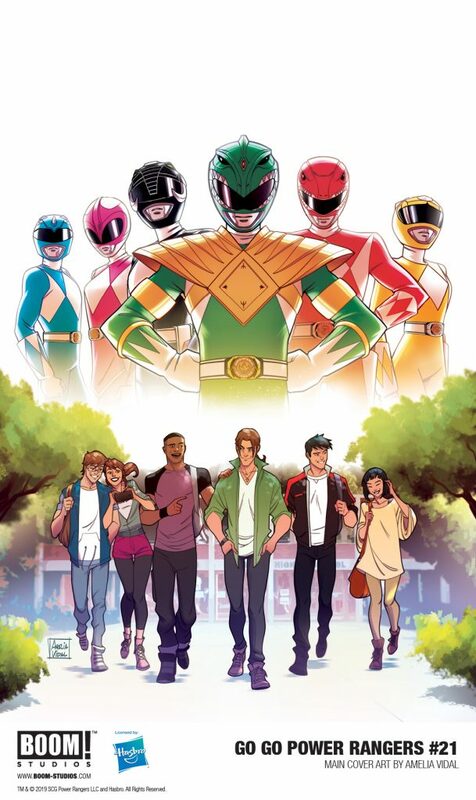 Parrott was one of the key architects of the landmark Power Rangers: Shattered Grid comic book event and currently writes Saban’s Go Go Power Rangers at BOOM! Studios, along with creator-owned projects Volition and Oberon for Aftershock Comics, and lives in Los Angeles with his wife. He will become the series writer of Mighty Morphin Power Rangers beginning with issue #40 in June 2019.